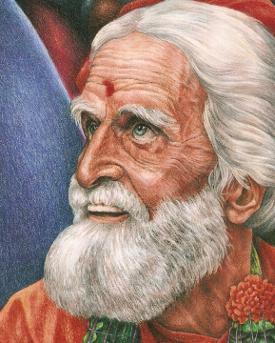 drawing by our brother Daniel Devananda r.i.p. "those who are intending to come to Ramana Ashram after our Oblate meeting please bring with them 2 passport photos. 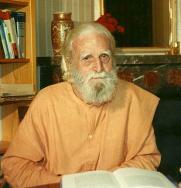 They are needed by the ashram as part of their registration for non Indian visitors." Deepawali( festival of lights) was celebrated on the 7th of this month. "God is the Light of Lights, the Supreme Illuminator. Deepavali is the time of reverence to that Light which illumines the path of the seeker." Dear Friends……… Let us come together to celebrate the common call of our faith traditions to work and pray for peace in our global family. World peace day gives us an opportunity to come together in celebration of our oneness with God and one another, and our world. Through prayer, we foster peace and wholeness in our community and in our individual lives and in the whole Universe. The question was: what is the difference between prayer and meditation? "Unless a grain of wheat falls into the ground and dies it remains alone. But when it dies it gives a mighty harvest. Jules Monchanin is this grain of wheat whose death bore fruit. A seed does not see its fruits. It has to die. Jules Monchanin did not see his fruits but he died with the hope that the fruits come. The community of Shantivanam, the oblates, the friends and sannyasis all bear witness to the sacrifice of Monchanin. 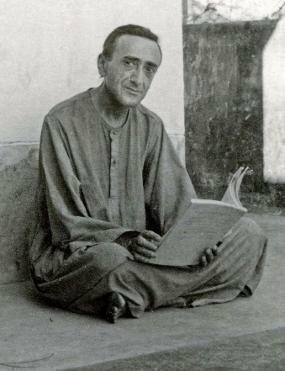 May this spirit of Jules Monchanin continuously guide our spiritual path." "Abbe Monchanin was a saintly man whose life provides an example to us of the spiritual virtue of waiting in faith for God’s will to unfold. 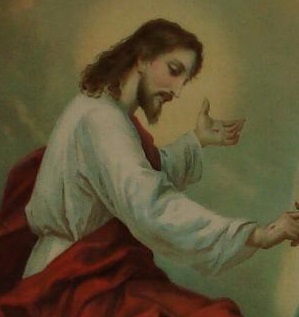 May he pray for us." "Deepening Our Relationship with Shantivanam And Ashram Friends"
"...The one, eternal Truth, which cannot be uttered, which cannot be known, is 'symbolized' in the life and death and resurrection of Jesus of Nazareth. At this point in history the veil is pierced, the Mystery shines through. At the resurrection of Jesus, human nature was taken up into the divine, time was taken up into eternity. Yet these are only phrases we use to express the inexpressible. It is not by word or thought but by meditation on the Mystery that we can pierce the veil..."
- We celebrate 5 years of our website and the 68th anniversary of the ashram. We now have a Facebook Page kindly created by Iris Eisenlohr. 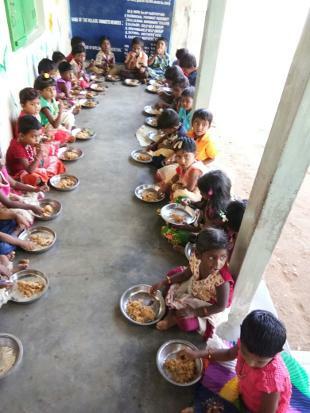 In India Children's Day is celebrated on 14 November, on the birthday anniversary of the first Prime Minister of independent India, Pandit Jawaharlal Nehru. 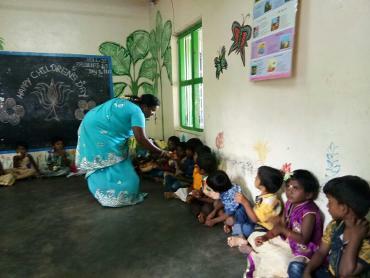 Father Pinto has sent some photos of celebrations at the Day Center Creche which is supported by Shantivanam. 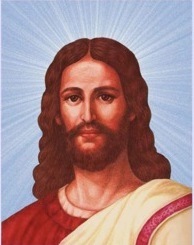 Are Jesus Christ and Prophet Mohamed predicted in the Vedas? If there is One God, why many religions? Who is the real saviour: Krishna or Christ? If God is Good, from where evil comes? Does God want people to worship him? Can any human being say he or she is God? Does God exist? "I am now in Avila, Spain, the place of St. Teresa ofAvila. I shall leave to Germany, Ulm, on 14th. From there I shall leave to India on 20th. July. With best wishes and prayers"
February 7th, is the historical feast day of St. Romuald which is now celebrated on June 19th the day he died in 1027.
the predominant one is killing of the demon, Narakasura, that rules hell. People celebrate this event by placing lamps in lines in their houses. Deepavali means lamps in line. People burst crackers to celebrate this festival. People celebrate this as the victory of Light over darkness, ignorance or evil. over the forces of darkness and ignorance. Let us join with our Hindu brothers and sisters to celebrate this universal festival. in the world and bring unity and peace in the world. 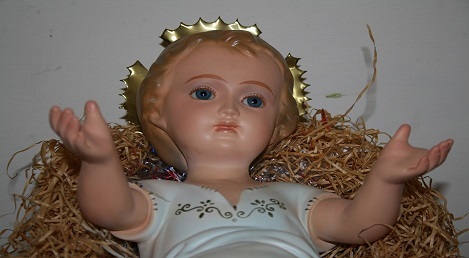 "May the same Light shining in his eyes, enlighten our mind and heart." Brother Martin has shared some more photos - a gift offered by Michael Giddings of a chaff cutter and submersible pump. MESSAGE FROM BR MARTIN- PROGRESS ON SOLAR PANELS PHOTOS. and Griffiths as markings on such a journey. Shantivanam will have what is called a PV-HYBRID system for electircity generation and delivery. This hybrid is PV generated power along with grid power. PV is the acronym for photovoltaics. These are cells which take the light of the sun and convert that into DC power. A number of such cells held together in a ‘frame’ is called an array. Shantivanam will have 2 such power system of 4 & 2 KW. There is a high quality Inverter that converts DC into AC power. It also delivers STABLE power and will sense and prioritise the source of power FIRST from the solar source ie the SUN (and strenth of rays called solar insolation). Only if there is ‘no sun’ /insufficient will it source from grid power. The systems’ providers (Omega Solar) will also install 1 day’s back-up power storage in a bank of batteries. I think it will take them a week or so to install. I hope this has the clarity of a good sunshine day! HAVE A LOOK AT THE NEWLY UPGRADED BEDE GRIFFITHS TRUST'S WEBSITE NOW CALLED "THE GOLDEN STRING"
HAVE A LOOK AT THE NEWLY UPGRADED BEDE GRIFFITHS TRUST'S WEBSITE http://www.bedegriffiths.com/ NOW CALLED "THE GOLDEN STRING"
"The Holy Trinity, where there is love there is God"
"Jesus Christ in our Christian understanding is one in whom this capacity for God was totally fulfilled ("in him dwelt the fullness of the Godhead bodily") and the image of God was realized in its perfection. Each of us as we grow in grace can come to share more and more in the gift of the Holy spirit and so grow in the likeness of Christ so that we share in his Sonship and are able to know God as our Father. "God has sent the Spirit of his Son in our hearts crying Abba, Father". (Galatians 4.6) In this way we come to share, as you say, in the inner life of the Trinity." taken from a book review of Judson Trapnell's BEDE GRIFFITHS: A LIFE IN DIALOGUE. Fr. Monchanin gave his all for Shantivanam. For those who would like to visit Tiruvannamalai - the holy hill of Arunachala, Sri Ramanasramam etc. "... God is only known and possessed when the self has been finally left behind. and the summing up of the whole Gospel." yet to allow that tradition to grow as it opens itself to other aspects of truth. So we realize that truth is one, but that it has many faces and each religion is an aspect of that face. The one truth is perceived to be manifesting itself under different signs and symbols." "...I never saw him angry. If he had been an ordinary man, there would have been a word called ‘angry’, but Monchanin was always praying. How could he get angry [when he was praying all the time]? Even while walking, Monchanin used to pray: when he walked from his hut to the chapel, he would pray the rosary... "
at the heart of every being." 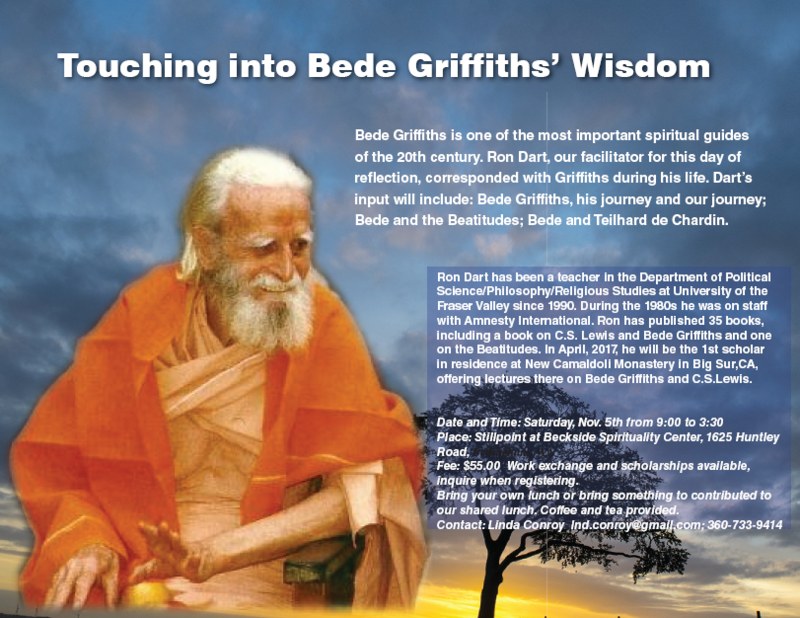 Tomorrow we remember the death anniversary of our beloved Guruji Fr.Bede. It was 22 years ago that he left his mortal body but he lives in the ashram and with us through his spirit and continuously inspires. We are all very grateful to his response to the call of God, to his sacrifice, to his dedication for the truth, for building bridges and being a peace maker. Jesus said, 'Blessed are the peace makers, for they shall be called the children of God'. Fr.Bede and our founders, Jules Monchanin and Henri Le Saux for they worked hard to break down the walls of division and bring peace and unity in the world. They inspired many people on their spiritual path and gave clear guidance to their lives. We thank God for the gift of their lives. What we are today is because of their sacrifice. May they all continue to protect us and inspire us. posted here especially for the 13th May - Anniversary of Fr. Bede's Mahasamadhi. 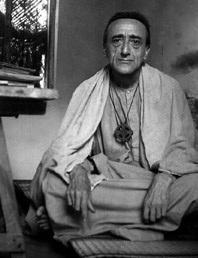 Today 10th April we celebrate the birth anniversary of Jules Monchanin, the co-founder of Saccidananda ashram Shantivanam. Born10th April, 1895 in France in the village of Fleurie near Lyons. "I ask you all for your prayers, Christians, Moslems, Hindus alike, you who adore 'Him Who is,' the One whom we cannot name, for He is beyond all thought, but whom, through His Grace, love may reach." Fr. Jules Monchanin's words shortly before his death. Om peace peace peace ." and the 2nd anniversary of the website of oblates of Shantivanam. 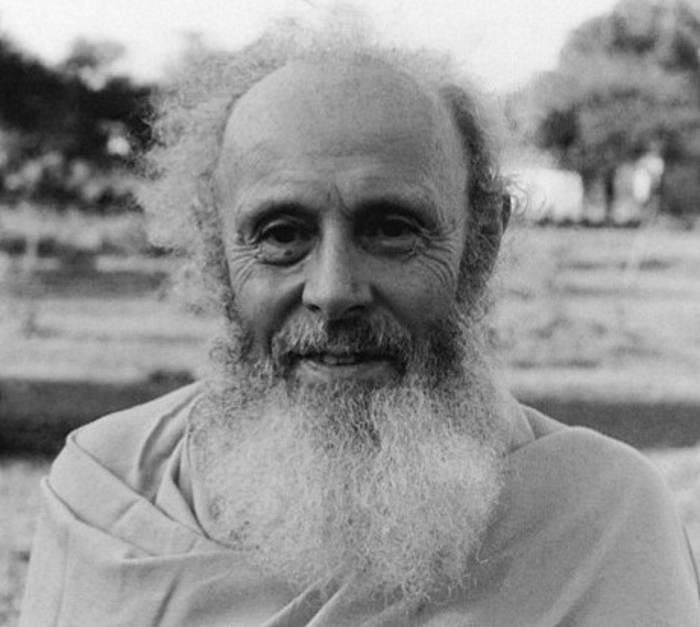 "...'Our Advaita and the praise of the Trinity are our only aim,' wrote Monchanin, and with these words he put his finger on the precise point where the meeting in depth between Indian and the Christian faith has to take place. The Hindu experience of the Atman, the ground alike of being and of consciousness as 'one without a second', and the Christian experience of God as a Trinity of Persons, are complementary truths. Within the depths of the One there is revealed a communion of knowledge and love, which does not destroy but perfects the unity of the One Being. But to discover this point of unity in the two traditions we have to ascend, as Monchanin observed, to the source of both traditions, to the point at which they originally burst forth and took shape, before they had hardened into systems..."
excerpt taken from the Preface by Bede Griffiths to In Quest of the Absolute - The Life and Works of Jules Monchanin. Those wishing to extend their stay may make arrangements to do so. Sharing stories of personal spiritual journeys, what we are doing now etc. 3rd day Talk by Brother Martin - The vision of Shantivanam and role and purpose of Oblates. 4th day Special celebration for Fr. 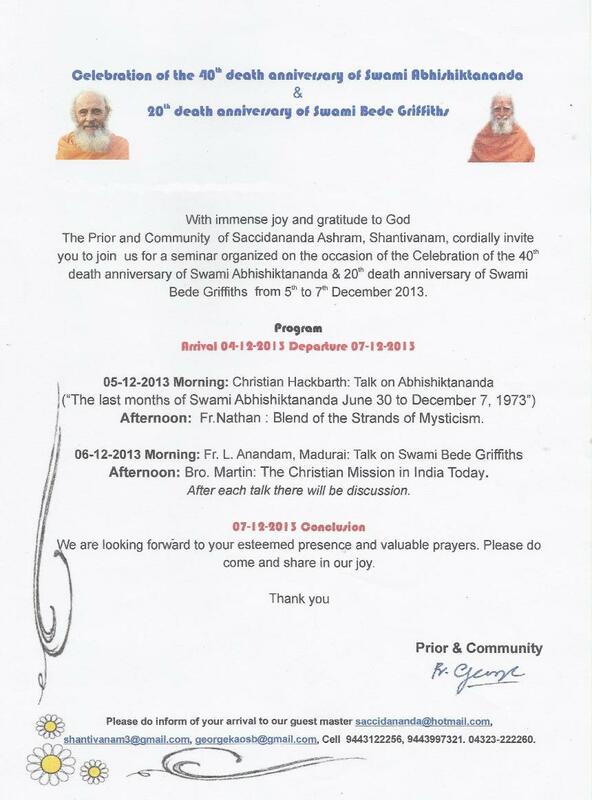 Bede's birth Anniversary and closing of gathering. but last minute bookings will be accepted if rooms are available. Please contact Michael for advice and information regarding travelling to Shantivanam and any special concerns about transport, accommodation, dietary needs etc. and for a tour of nearby spiritual sights/temples before/after the event. Greetings of peace and joy from Br.Martin, from Shantivanam. I hope you are fine, hale and healthy. The community of Shantivanam ashram comes to you with a request. The present need of the ashram necessitated us to initiate a project called ‘Friends of Shantivanam’. We are trying to gather some friends who commit to support the mission of the ashram spiritually and economically. Please click here for full message. The ashram community will be grateful for your support. 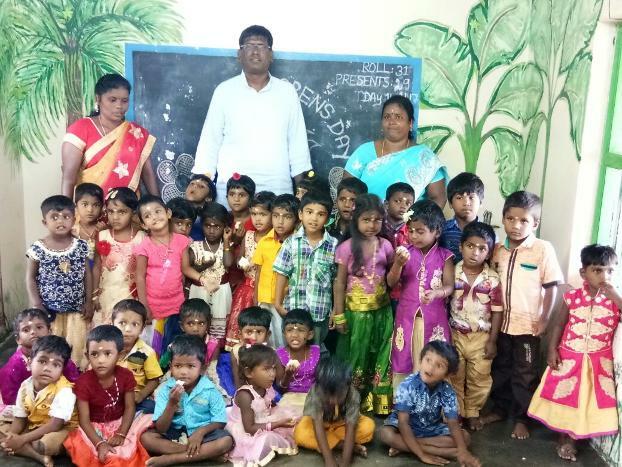 Br.Martin and the Community of Shantivanam. Fr. George Nelliyanil was prior of Shantivanam from 1997 to 2014. From October 2014 he was appointed Prior and Rector of the Monastery of S. Gregorio Magno Italy. I wish you all a happy new year 2015. Let us thank the Infinite for the year 2014. Let us accept all the positive and the negative aspects of the past year. Let us also forgive those who have caused difficulties to us and also ask forgiveness if we have done any harm to others. Let us pray to the almighty for a world where there will be peace, equality, freedom and respect for the human dignity. 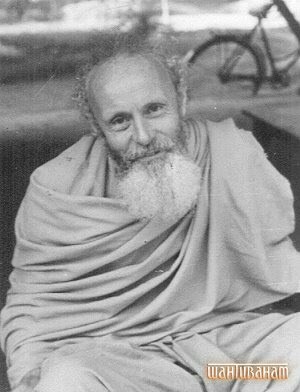 Today we commemorate the 108th birth anniversary of our beloved guruji and teacher Fr.Bede Griffiths. 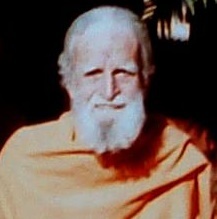 He was one of the three pillars of Shantivanam. Jesus Christ said 'Blessed are the peace makers for they shall be called the children of God. The vocation of the founders of Shantivanam is to be peace makers. To break down the barriers of divisions and create one God, one creation and one humanity. Fr.Bede wrote his book 'the Marriage of East and West'. He worked very hard to build bridges among all the great world religions. Fr.Bede was a peace maker and thus he was a child of God. May his life inspire us to pursue the path peace makers and thus become the children of God. Message from Br. Martin on the 41st Death Annivesary of Swami Abhishiktananda - 7th December 2014 - see under News subheading "Messages from Br. Martin"
BROTHER MARTIN'S PROGRAMME FOR EUROPE"
"I have just finished my program in France and I go tomorrow 25th to Luxemburg. On 30th. I go to Germany. On 3rd.December I go to Holland. On 9th. I go back to India from Brussels..."
Peace and joy from Shantivanam, from Brother Martin. 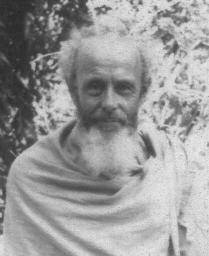 October 10 is the 57th mahasamadhi (death anniversary) of Abbe Jules Monchanin. This year also marks the 75th year since Abbe Monchanin arrived in India (1939). 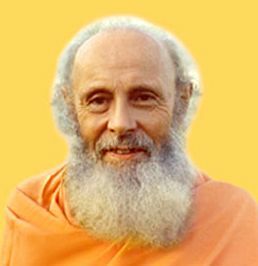 To mark the occasion, I wish to share with you some reflections from Ma Atmajyoti-Ananda, which were originally presented as a talk at Shanitvanam in 2007, on the occasion of the 50th mahasamadhi of Abbe Monchanin, and which focuses on the year 1939. Abbe Monchanin was a saintly man whose life provides an example to us of the spiritual virtue of waiting in faith for God’s will to unfold. May he pray for us. 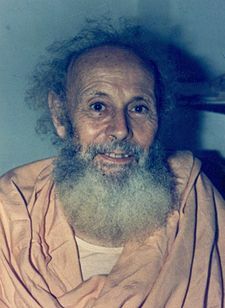 On this occasion on the mahasamadhi of Abbe Monchanin, the book "Reflections on the Hermits of Saccidananda" has been made available as an eBook for free download or to read online at www.ctlock.org This book is a compilation of articles by Ma Atmajyoti-Ananda ("ctlock") of Aranya Kutir Ashram, Rishikesh. Fr.George has gone to Italy on a sabbatical and possible responsibility in Italy. Br. 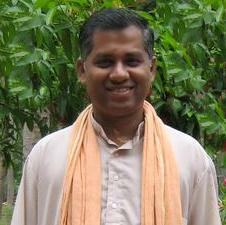 Martin has been appointed by the Prior General as the prior administrator of the ashram for three years. He took charge on 9th.September. 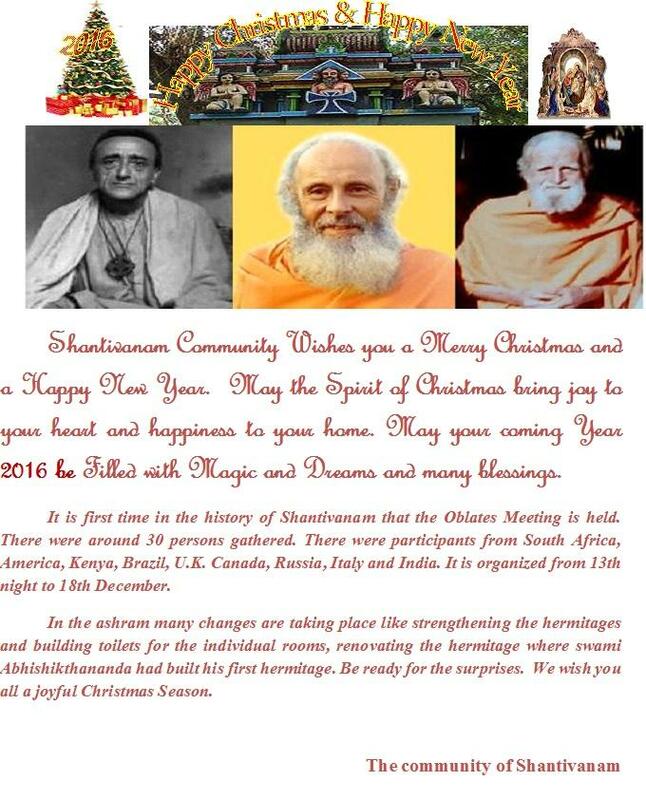 GATHERING AT SHANTIVANAM DECEMBER 2015: A reminder for those who wish to join the gathering of friends and oblates of Shantivanam in December 2015 at Saccidananda Ashram Shantivanam to send an e-mail to shativanamoblates@gmail.com so that we can start to organise the programme with your input. Tomorrow we commemorate the 104th birth anniversary of Swami Abhishikthanada. 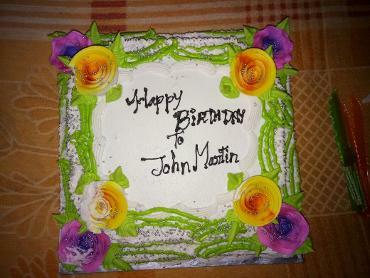 We thank God for the gift of his life to our ashram, to the Catholic Church, to Christianity and to the whole world. He had the courage to trod the untrodden path and to open a new vision to the Church, to Christianity and to the world. It was not an easy path. It required tremendous courage and sacrifice. His soul had to go through the pangs of a woman in travail and also the pangs of a child that is going to be born. He endured the process and gave birth to a new vision. He was a pioneer of Hindu-Christian Meeting point. We are still very far from the vision he inaugurated. It seems that his voice is like the voice of John the Baptist,crying in the wilderness. Neither the Church nor Christianity has taken his vision seriously. It still remains at the individual level. Only the individuals that go into the desert listen his voice and try to walk on the path he walked. We wish and pray that the Church and Christianity open their minds and hearts to hear his prophetic voice and contribute for a genuine inter-religious dialogue and work for unity and peace in the world. 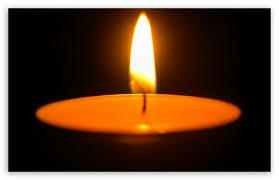 May the soul of Swami Abhishikthananda bless us from above and help us to be caught by the fire of his vision. NEWS - UPDATE ON ADRIAN RANCE'S BOOK - BEDE ON LOVE - Read excerpts taken from the book and report by Adrian Rance under NEWS Subheading. On Friendship- The Letters of Bede Griffiths to Richard Rumbold 1943-1961 edited by Adrian Rance (read review under heading BOOKS) Adrian has included a photo of Richard Rumbold in Second World War RAF uniform. ..."But in that stillness, in that silence, the Word is hidden, the Word in which everything exists eternally in the plenitude of being. And in that Word the Spirit is present, the Spirit which is in all creation and in the heart of every man, and in our own inmost being. And that Spirit is Love, a love which penetrates every atom in the universe, which fills every living thing, which moves the heart of every man, which gathers all into unity. In that Spirit we are all one in the Word, each one unique in himself, reflecting the light of the Word, and in that Word we are one with the Father, the Source of all. 'That they may all be one; even as thou, Father, art in me, and I in thee, that they also may be in us.' This is our destiny, to be one with God in a unity which transcends all distinctions, and yet in which each individual being is found in his integral wholeness. Brother Martin has offered alternative Introductory Prayers, based on the Psalms, which can be recited privately, for friends and oblates who cannot follow the usual introductory prayers. Brother Martin has also composed a prayer inspired by the Lord’s Prayer. "The great people will not die because they live in the heart of the people. Mandela is a man of great soul. We remember him and the people of South Africa in our prayers." Christmas is a celebration of joy. We celebrate Christmas by exchanging gifts, decorating the houses, making a crib at home and putting Christmas stars, visiting friends, attending the Holy mass, sharing Christmas cakes, decorating the Christmas tree etc. The reason for this joy is Emmanuel: God with us. Christmas tells us that we are not alone. The Creator is with us and within us. This is the reason for which we celebrate Christmas with joy. The shepherds were the people who were privileged to experience first the nearness of the Lord. Christmas is a love story only lovers will understand it. Thus, Augustine,” Give me a person who loves; he will understand what I am saying. Give me someone who does not love; he or she will not understand what we are saying.” The nearness of God cannot be understood with our cleverness. To understand and experience the nearness of God one has to attune one’s life with the life of Jesus. In Jesus God comes closer to us as He can and He becomes one of us. He came to us as tender compassion and to bring light to those who live in the darkness. Wherever we experience His presence we experience Peace and Love even in the midst of chaos of the world. God has no plan to leave us alone. This is the message of the parable of the Prodigal son and the Lost Sheep. In Jesus God’s unconditional love is manifested to the whole humanity. I wish you all a Merry Christmas and a Happy New Year. May this advent and Christmas season help you to become more like Jesus and burn like a candle which gives light to the world of darkness and pain with love and goodness. Saccidananda ashram Shantivanam was started on 21st March 1950 by Jules Monchanin and Henry Le Saux therefore on 21st March we are celebrating the 63rd birthday of our ashram.On this occasion I am pleased to announce that we have opened the website for oblates of Shantivanam to be in communication with each other and with our community. I am sure that this website will help us to deepen our spiritual pursuit and promote the communication between Shantivanam and oblates. THOSE WHO HAVE BEEN INSPIRED BY THE FOUNDERS OF SHANTIVANAM - FR. 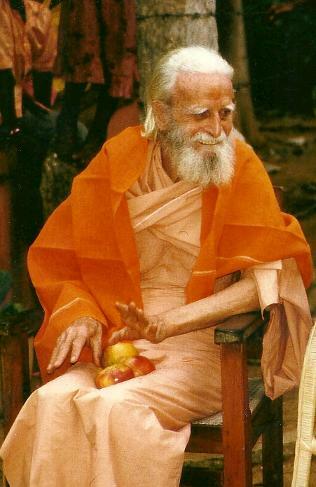 JULES MONCHANIN, SWAMI ABHISHIKTANANDA AND FR. BEDE GRIFFITHS ARE INVITED TO SEND TRIBUTES TO THEM WHICH I WILL INCLUDE UNDER SPECIAL HEADINGS. A New Song of Creation in english is now available and shown under BOOKS etc.